As we head towards Christmas, one of my goals this Holiday Season is to make an effort to be more charitable. We are very fortunate and I want to start teaching my kids the importance of helping others and appreciating what we have. Being charitable and making a difference in someone’s life doesn’t mean having to make large monetary donations. There are many great charities out there who make it easy to get involved and contribute with what you have. In the next few weeks I will share some of these great charities with you as well as some fun and frugal ways I have come up with for the kids and I to help give back to our own community and around the globe. With the approaching Holiday season comes the colder weather, and that has me currently focused on outfitting my kids in new boots and snow gear. I have been lucky buying at the end of season of finding good deals, but it pains me to see our growing collection of outgrown and barely used snow gear in the coat closets. 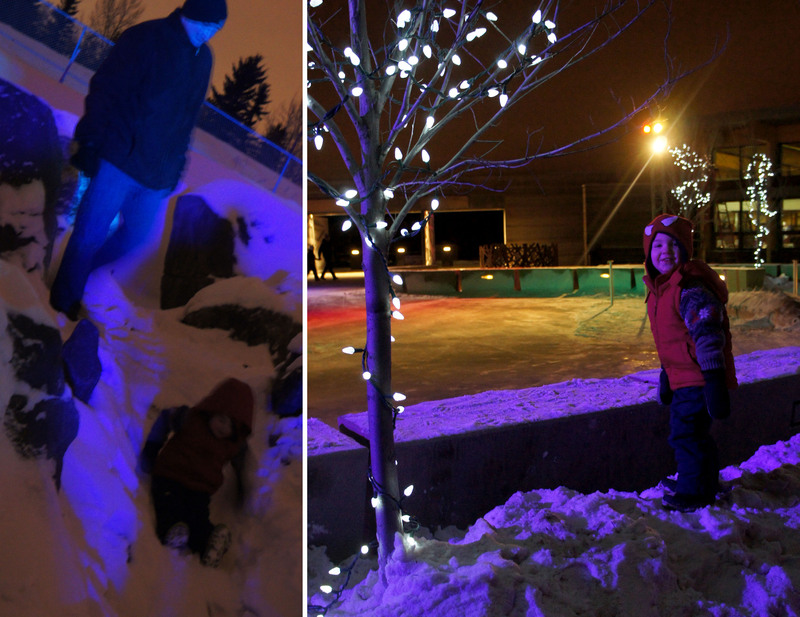 Confession: I haven’t been that good at taking the kids out to play once it gets cold and snowy out! 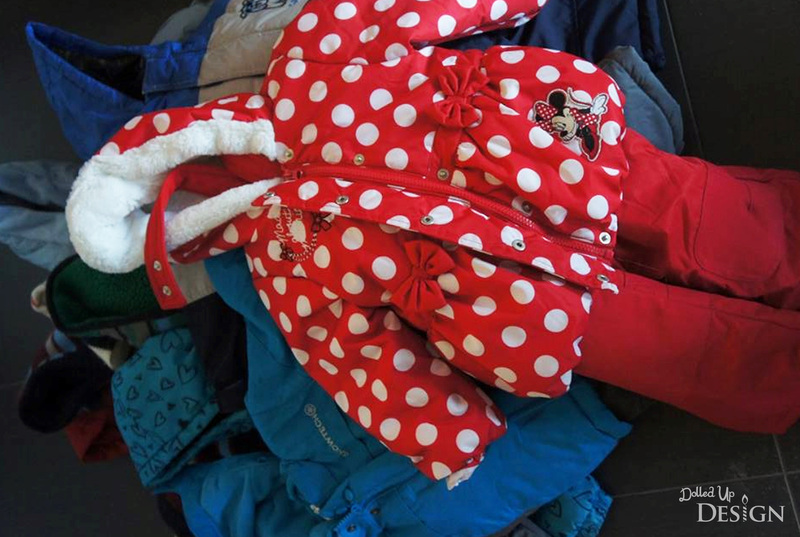 Since we no longer need these items, I decided it was time to gather up all the two-small coats, snow pants, boots and hats and donate them to the Coats for Kids and Families program run through the United Way. 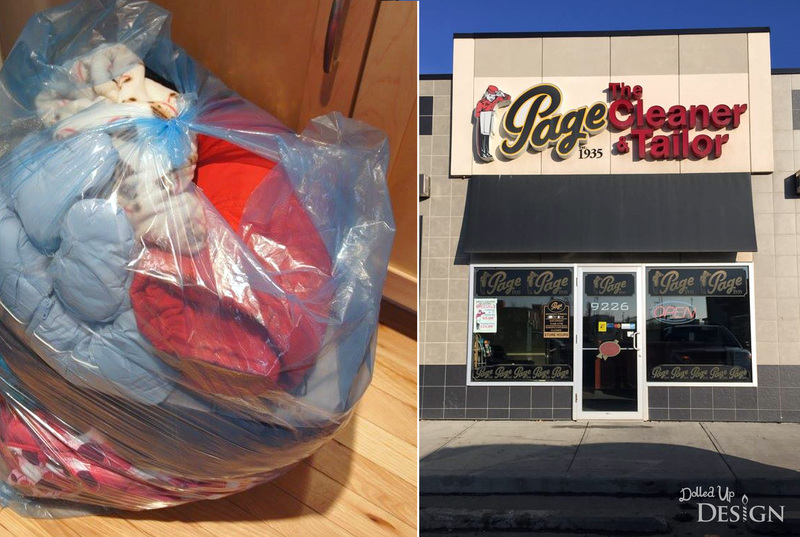 This great program runs from October 1 to December 15 and donating couldn’t be much easier thanks to donation bins at all Page the Cleaner locations throughout Edmonton. Our location was just a quick 2 minute drive up the road. While I could have likely sold a lot of the items through local Facebook Buy and Sell groups to make a little extra money for the holidays, this felt like the better option. 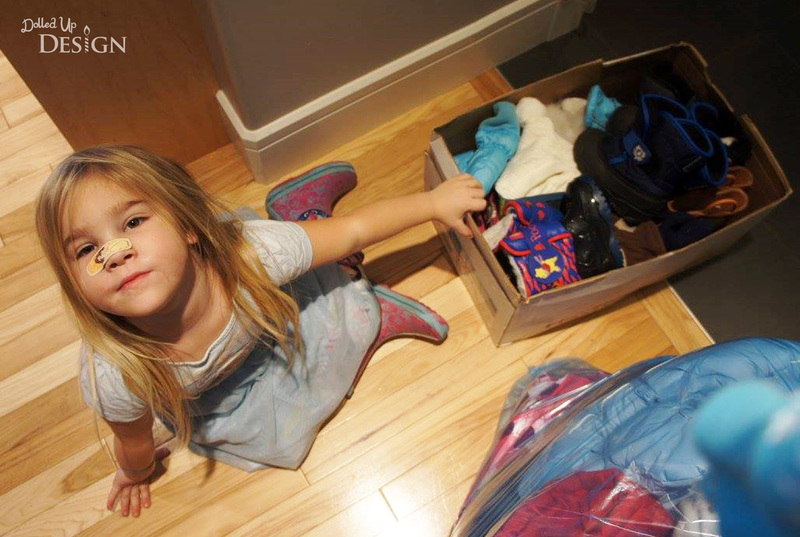 My closets are cleaner and hopefully our donations will help keep some little ones warm this winter. Plus, maybe this is the kickstart I need to start saying goodbye to some of the other baby stuff I have cluttering up the basement! How are you being charitable this holiday season? Please share your ideas in the comments! 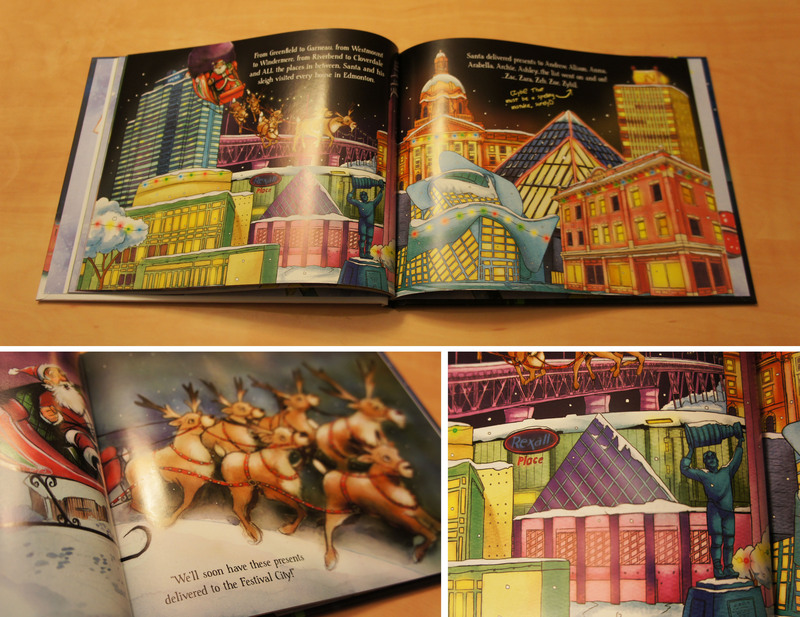 I was very excited to find out the Valley Zoo in Edmonton was introducing a Festival of Light this Christmas season. We had gone to Zoolights at the Calgary Zoo while I was still pregnant with my son and it was a fun experience to see the zoo all lit up at night. My original plan was to go this past weekend so I was a little bummed when we were hit with extremely cold temperatures that made it impossible to go with two young kids. After looking at the weekly forecast, we determined that Monday night looked the warmest (-6) and took it as our opportunity to check the festival out. They are currently working on renovating the zoo and I was excited to see the newly built front entrance finally open. Our zoo is still fairly small in comparison to a lot of other zoo’s, but they are working hard to improve it and I think they have done a great job making it a worthwhile attraction to visit throughout the year. Keira started in the stroller but didn’t last long in the stroller before she was itching to get out and walk. She raced between exhibits, shouting an excited “dog, dog, dog!” every time she spotted a new animal. Luckily she was still strapped in the stroller when we came across the zookeepers out walking the Arctic wolf otherwise she would have been racing to pet it. I loved watching as Keira spotted the animals and started jumping and screaming in excitement. We were able to get pretty close up to a lot of the animals, but that still wasn’t good enough with my little girl who had a few mini meltdowns trying to clamour her way into the enclosures. We have only ever been to the zoo on hot summer days so it was neat being at the zoo at night and in the cold. Some of the animals that would typically be hidden out of the hot sun were out and very easy to spot. The Siberian tigers, fox, otters and other Arctic wolf were all out wandering around their enclosures and we were able to get a good look. No trip to the Valley Zoo is ever complete without checking in on Lucy the elephant. We found her inside out of the cold, which gave us a chance to warm up a bit too. It was a pretty warm night but it was still nice to be able to alternate between viewing the lights and animals outside and seeing the inside exhibits. As we were leaving, the reindeer were out for a walk which gave us a good view of them. 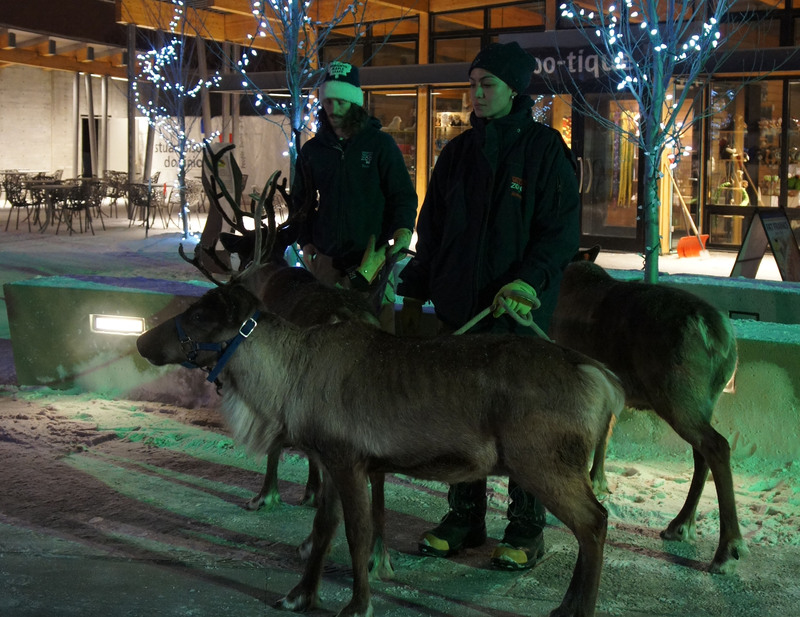 These were just 3 of the 7 reindeer they have at the zoo – not quite a full team to pull Santa’s sleigh! The snow was just starting to fall and the wind was picking up as we were loading into the car. We weren’t that chilled, but we still decided to cap the night off with hot chocolate and donuts at Tim Horton’s! It was well past bedtime and Keira was tired from walking most of the zoo on her own, but she managed to stay awake and happy. Overall it turned out to be an awesome night to go. Due to the dark and the kids excitement I wasn’t able to get many non-blurry pictures, but I know they had smiles plastered to their faces for most of the night and their joy made it totally worth it. If the temperatures cooperate I am pretty sure it will be something we will attempt again next year. As the weather is slowly starting to turn cold on us, I thought I would compile a list of all the fun indoor play places the kids and I frequent throughout the winter months. I find I start to go stir crazy if I am trapped in the house with the kids, so it is nice to have so many options open to us. Please click the link titles for more information. 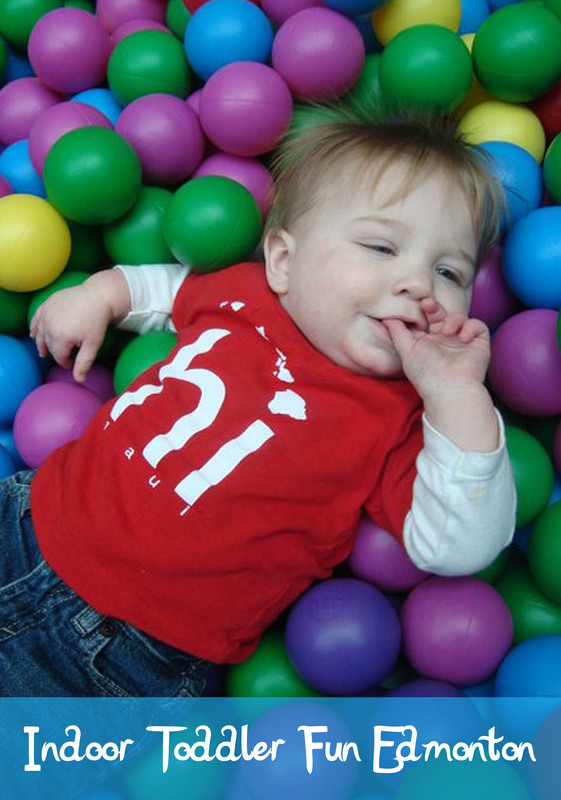 An indoor play place and coffee house – what’s not to love?? I get to sit and relax with a delicious latte while the kids crawl through the plastic playhouses and slides, ride around the track in a cozy coupe or pretend to be little engineers at the train table. Everything is secured and enclosed so it is easy to let the kids lose and not be stressed about them wandering off. This indoor inflatable park offers a little of everything between the giant inflatable slide, train table and climbing structures. They have also offered special event days in the past where they have brought in a petting zoo for the kids. 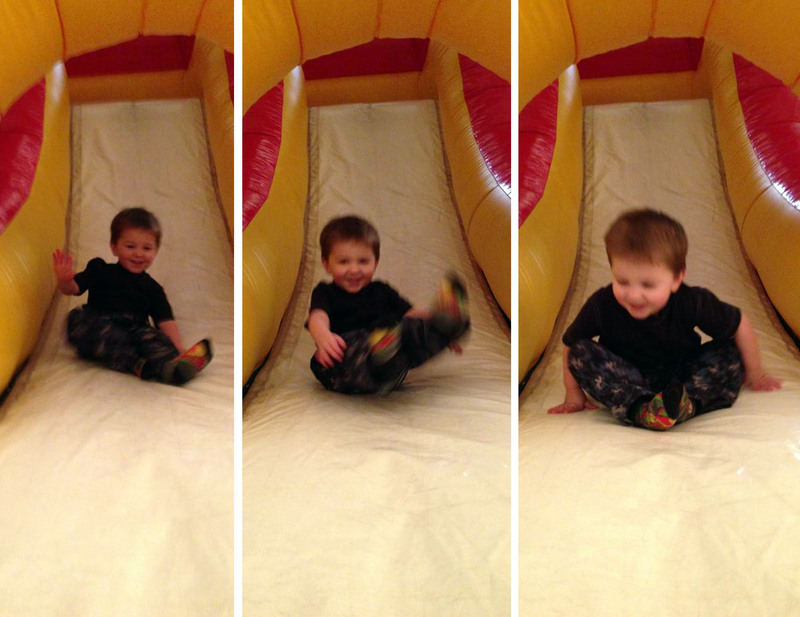 It can be quite noisy with the inflatables going, but it is a clean, fun space for the kids. 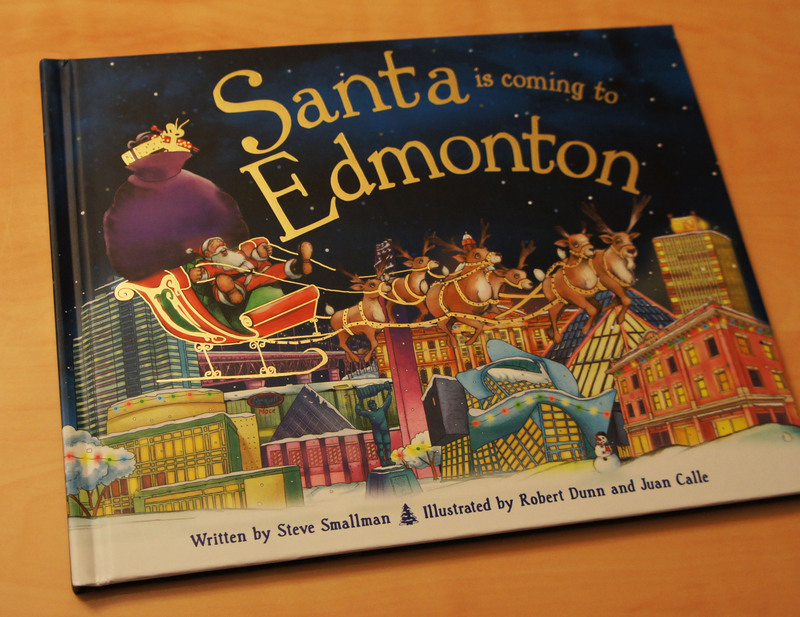 Located in West Edmonton. A new inflatable place on the southside, Inflatable Fun offers a clean secure play area complete with bouncy castles, plasma bikes and a really fun clubhouse upstairs. The café area offers delicious homemade sandwiches, coffee and baked goods if you are looking for a quick snack or lunch. The nature centre has an incredible indoor playground complete with slides, tunnels, beaver den and a giant bee hive. The kids and I all enjoy climbing through the tunnels and pretending to be the actual animals in the dens. This is on our to try list. They have opened fairly recently and I have heard good things about this indoor playground. It looks fairly large and includes all the typical plastic slides and tunnels for the big kids as well as a toddler’s area. Before Camden turned 3, we used to visit West Edmonton Mall quite frequently to take advantage of the free admission for him. There are several attractions throughout the mall which leads to quite a few options to keep the kids entertained. For those 3 and above, the mall attractions do offer Toddler Time Monday – Thursday 12pm-3pm at a rate of $12 per child and their adult chaperone. Galaxyland – WEM’s indoor amusement park offers a range of rides that are suitable for toddlers. Camden really enjoys riding around on the motorcycle and car tracks, I was able to enjoy the hot air balloon ferris wheel and train with him last winter while Keira enjoyed the views strapped on me in the baby carrier. Galaxy Kids Playpark – There is a small admission for this indoor playground located within Galaxyland, but it offers a wide range of climbing structures, slides and ball pits. There is both a young kids area and more challenging equipment for the bigger kids. Sea Life Caverns – Located right by the Sea Lion tank, the sea life caverns are a bit of a hidden treasure within the mall. Climb down the stairs and you are surrounded by manta rays, sharks, giant sea turtles and penguins. 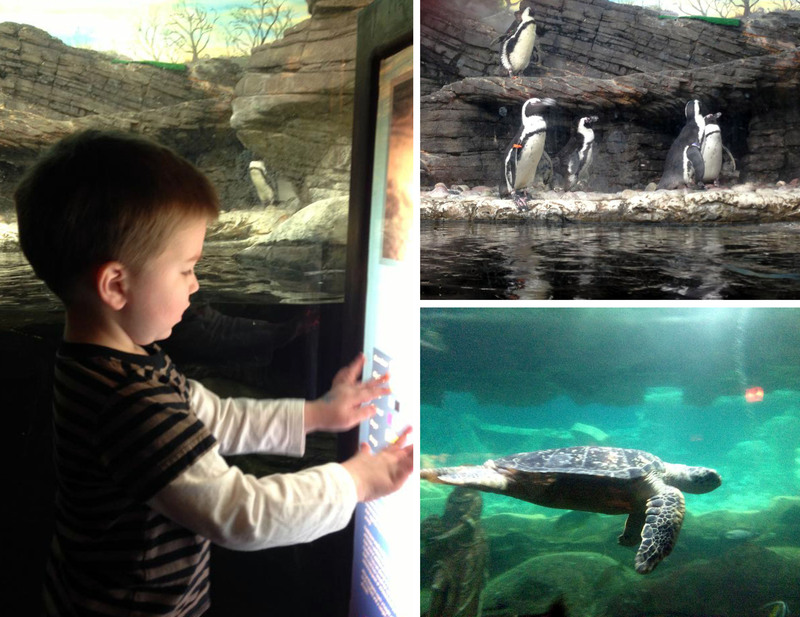 I love aquariums so this is one of my favorite places to take the kids. Adults do have to pay an admission fee. World Water Park – The waterpark is also an option, although I haven`t been brave enough to take the kids on my own yet. I think this will also have to be on our to-do list for this winter because Camden has gone to the waterpark once before and seemed to really enjoy himself. A decent option if you are looking for something is to head to Millwoods Town Centre Mall and let them play on the playground right by the food court. It is a fairly simple playground, but it is a good option to allow me to get a bit of shopping in (Target, Dollarama, Shoppers Drug Mart, Safeway) and let the kids burn off some energy. Once your kids hit a certain height, you are able to drop them off with the caregivers at Smaland in IKEA for up to an hour while you shop. There are slides, a ball pit, movies, coloring and activities to keep them entertained while you get to enjoy some child free time. 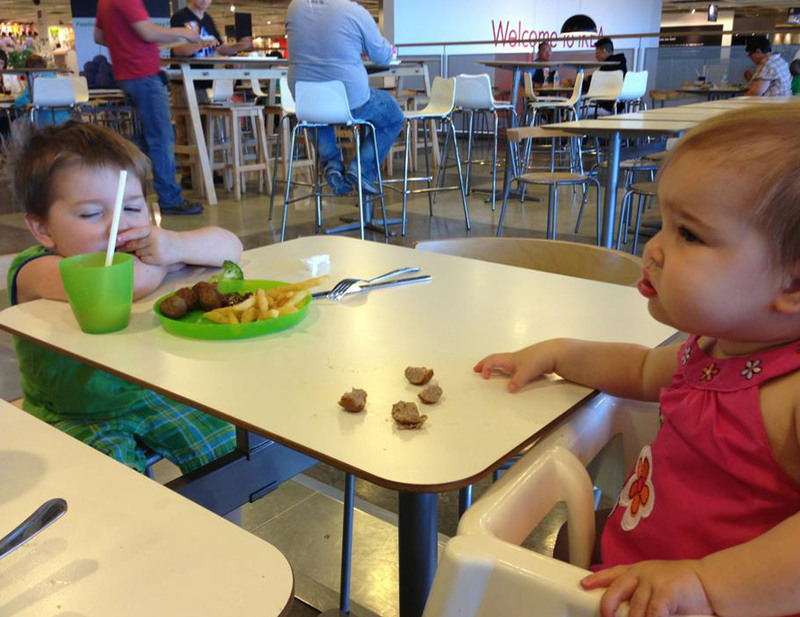 While there, I also like to hit up the IKEA café for an inexpensive meatball lunch. Kids eat free on Tuesdays! Once in a while we will take an outing to Chapters bookstore so the kids can play with the train table and I can grab a latte from Starbucks. It is usually fairly quiet and relaxed and just one more way to help pass the long winter days. The Telus World of Science has a great kids Discoveryland Gallery with a play airport (complete with xray machine), water area and giant piano. I also highly recommend you check out one of the shows in the 360 degree domed Margaret Zeidler theater (included with admission). The kids and I have seen both “In my Backyard” and “One World, One Sky: Big Bird’s Adventure” (ages 2-6) and it is a fun and unique experience. If you are a Harry Potter fan, the new Harry Potter exhibit opens November 23rd. I love visiting gymnastic centres for drop-in hours. The entire floor is padded so the kids can’t get hurt and there are all kinds of new things for them to jump on and climb over. Capital City Gymnatics just opened a brand new facility this Summer and I am eager to check it out in the upcoming weeks. So there you have a glimpse of how we plan to spend the next several months. I realize there are things I may have missed, so if you have suggestions or know a fun spot we might enjoy, please share in the comments below!